During the English Reformation, Henry VIII suppressed or dissolved Catholic monasteries by Henry VIII throughout England. The dissolution of the monasteries was a process whereby religious foundations were dissolved and their property confiscated. This is one of the most important acts of the Tudor period and because of the dissolution of the Catholic religious houses changed English society. The suppression of the monasteries transformed many aspects of English life and its culture. It also allowed for a massive transfer of land from religious orders to the English nobility. This had important political consequences and strengthened Protestantism in England. 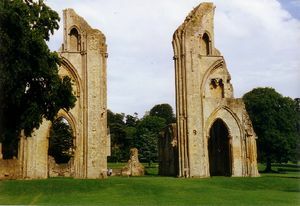 The context of the suppression of the monasteries was the English Reformation. Henry VIII after the Pope denied him a divorce, made himself Supreme Head of the Church in England. In the Act of Supremacy, ‘the king's Majesty justly and rightfully is and ought to be the supreme head of the Church of England.’  The act made Henry the unchallenged head of the Church of England. 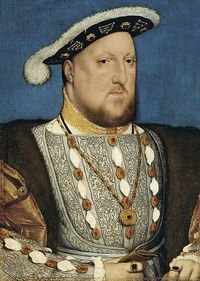 At first, Henry VIII was not willing to undertake drastic changes to the Church, and the English Reformation was very conservative. Slowly, but surely the Protestants grouping became very influential and they managed to persuade Henry VIII to undertake several changes to the Church partially because Henry VIII was always short of money because he spent lavishly. 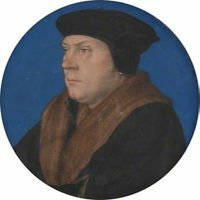 His chief minister Thomas Cromwell and his second wife Anne Boleyn persuaded Henry VIII that as head of the Church of England that he had to reform the church and especially the monastic orders in England. The Reformers had a distaste for monasticism and saw monasteries and convents as corrupt and irreligious and a 'slander of God.’  The literature for many centuries argued that the monastic system in England was corrupt and in decline. Recent research shows that this was not the case and while some monasteries were corrupt most of them were not. The monks were usually deeply religious and played an important role in the local economy and society. Additionally, the monasteries were often popular with the local community. However, as the Reformers became more influential the dissolution of the monasteries was a direct attack on monasticism. There was some initial opposition to the King’s plans by the monks, nuns, and local people, but Cromwell used the Treason Acts to suppress any opposition. The suppression of the monasteries did provoke a revolt in Northern England, the so-called ‘Pilgrimage of Grace.’ Henry quelled this revolt by promises that he later broke and later executed many of those involved. At the end of the process almost one thousand religious houses were dissolved by order of the monarch and thousands of monks, nuns and friars were expelled from these foundations. The monasteries in England, Ireland and Wales were among the greatest landowners. The monks established large farms on their land, and the monasteries of England played a critical role in the wool trade. In addition to controlling land, the monasteries, convents, and abbeys were often quite wealthy and received donations from the citizens of those countries. The monasteries devoted much of their resources to social purposes. These religious houses in England usually centered often community centers for their communities. They offered hospitality for travelers, education, healthcare, and social services. Travelers would often find a bed for the night at one of the religious houses. They served travelers before hotels and hostels existed in large numbers. Monastic schools played a critical role in the education of many young men.. There were only limited educational opportunities for boys to receive education elsewhere and the monastic schools would often educate poor boys whose parents could not afford an education. On the other hand, convents served the same role for women. Nuns provided for the education of young women and often provided the only formal education that was available to many girls. Monasteries also provided medical help for many people. Monks and nuns were often experienced healers and had a deep knowledge of medicinal herbs. Many of the larger abbeys, convents, and monasteries had specially built hospitals for the sick, and they were often the only medical help available to people during an epidemic or plague. Finally, monasteries were renowned for their charity, and they regularly provided food and shelter to the poor. Early Modern England was a society where perhaps most people were poor and lacked even the necessities. The Religious Houses provided relief and assistance to the many poor in England. Without the charity of the religious houses, the poverty of the people would have been even worse. The vast network of abbeys, monasteries, and friaries provided a system of social supports for the population of England. When they were dissolved, almost overnight, many social services simply disappeared. There were fewer schools, hospitals, and less poor relief, despite the promise made by Henry that the wealth of the monasteries would be used to help the poor. The dissolution of the monasteries caused immense social problems, and the poor and the ordinary people suffered greatly thus. Many commentators noted after the suppression of the monasteries that beggars and vagrants become more noticeable in England and that social problem such as crime increased significantly. The suppression of the Religious Houses caused something of a social crisis in England. The English elite was gravely worried about the apparent rise in the numbers of vagrants and the poor in general in society. They believed that such large numbers of poor were potentially destabilizing and could lead to disorder and even revolts. Initially, the elite used the laws to control the poor. The Vagrant Acts were updated and strengthened. These were laws that allowed the authorities to punish and confine the poor who had no work or home. However, by the later Tudor Period, it became apparent that something more needed to be done to help the poor. A series of social reforms were enacted that sought to provide a system that would provide the needs of the poor and would control them. The Elizabethan Poor Laws sought to establish a parish-based system of poor relief. The local elite would contribute to a fund that would help the poor, the aged and the infirm. 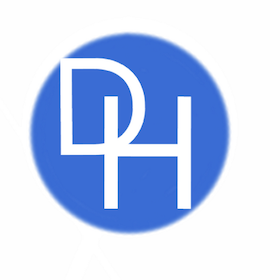 This parish-based system over time helped many poor people and was deemed a success. The parish system was needed to provide the help that the infirm, needy and sick needed after the suppression of the monasteries. To fill the gaps left in society by the suppression of the monasteries, the local authorities in England and elsewhere developed a series of strategies, usually based around the parish. The English authorities soon established a series of parish schools and even hospitals. However, the Protestant elite was not as sympathetic to the poor as the religious orders. They tended to criminalize the poor and England soon developed a series of workhouses. These were places of confinement where the ‘idle poor’ and ‘sturdy vagrants’ were placed and forced to work. The Workhouse was widely seen as the solution to poverty in England and as an effective means of social control. Because of the suppression of the monasteries, a new way of providing social services and a new way of managing poverty was introduced. These changed transformed English society, and many have argued they ultimately helped in the modernization of England. The dissolution of the abbeys and other religious houses had far-reaching political consequences. Many of the elite were still sympathetic to the ‘old religion’ and had little regard for the views of the Reformers. Indeed, it is now believed that Catholicism was still very popular in England. Henry VIII used the lands that he seized to effectively to buy the support of the English landowners and the gentry. Henry sold or granted large tracts of monastic lands to those families he considered loyal. Those families and individuals who were loyal to the monarch and accepted him as Supreme Head of the Church of England received former monastic lands. This was to strengthen the position of Henry VIII greatly. Those who received monastic lands usually were very committed to the Reformers cause and usually loyal to the Church of England. The landowners who benefitted from the suppression of the monasteries were opposed to the return of Catholicism, fearing that they would lose their lands. In the event of Catholicism becoming the state religion, many landowners would lose portions or even all their estates. The transfer of lands from the monasteries to the gentry created a class of committed Protestants. The suppression of the monasteries which was often unpopular helped to strengthen the Protestant Reformation in England greatly. Those who benefitted from the sale or granting of monastic lands usually supported the Reformation at the local level. When Mary I tried to turn back the clock and to restore Catholicism she faced opposition from the English gentry. They were fearful that if Catholicism was re-introduced that they would lose some of their lands. This was the primary reason why Mary’s attempt to restore Catholicism in the 1550s was a failure. The suppression of the monasteries also changed English culture. Before the dissolution of the monasteries, they had received many donations from the elite. After the suppression of the religious houses in England, the elite changed their behavior, and this had important cultural consequences. Since they no longer could contribute to the monasteries, they instead established stipends for teachers and supported schools and universities, and this did much to change the nature of education in England. The clergy no longer controlled education, but the Church of England remained very involved in education. The monasteries had been cultural centers, and they had produced manuscripts and works of art. The end of the religious houses meant that the English elite increasingly patronized secular artists and writers and this did much to foster the development of the English Renaissance. The suppression of the monasteries also ended the millennium-old tradition of monasticism in England and contributed to the rise of a religion that was more interested in personal salvation and a personal relationship with God.